The new FS model is focused on documentary and indie productions, with several new features such as Electronic Variable ND technology, a lever lock type E-mount, a new mechanical design for faster and easier set-up and more. For more information on the new Sony FS7II, see the press release below, as well as visit www.Sony.com/FS7II. 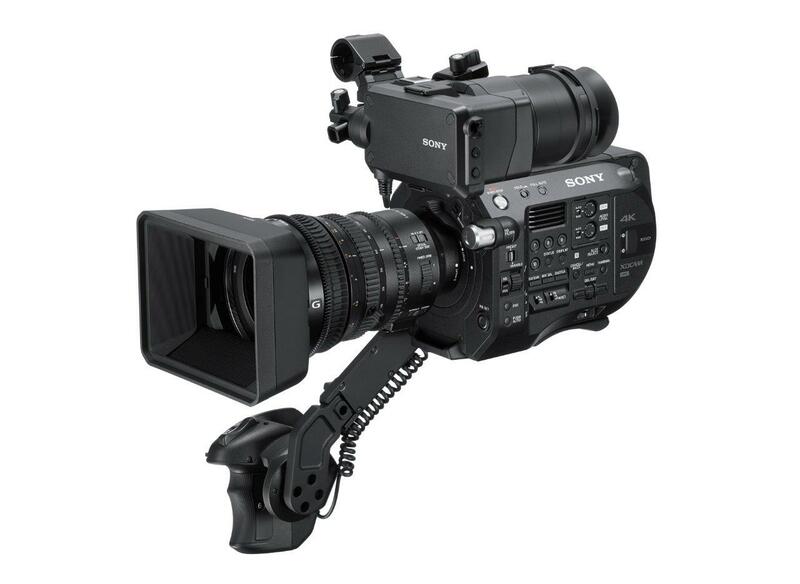 Sony is expanding its FS Series Super 35mm professional family with the addition of the new FS7 II camcorder. The new model builds on the original FS7’s strengths by adding advanced features including Electronic Variable ND technology, a lever lock type E-mount, and a new mechanical design for faster and easier set-up. 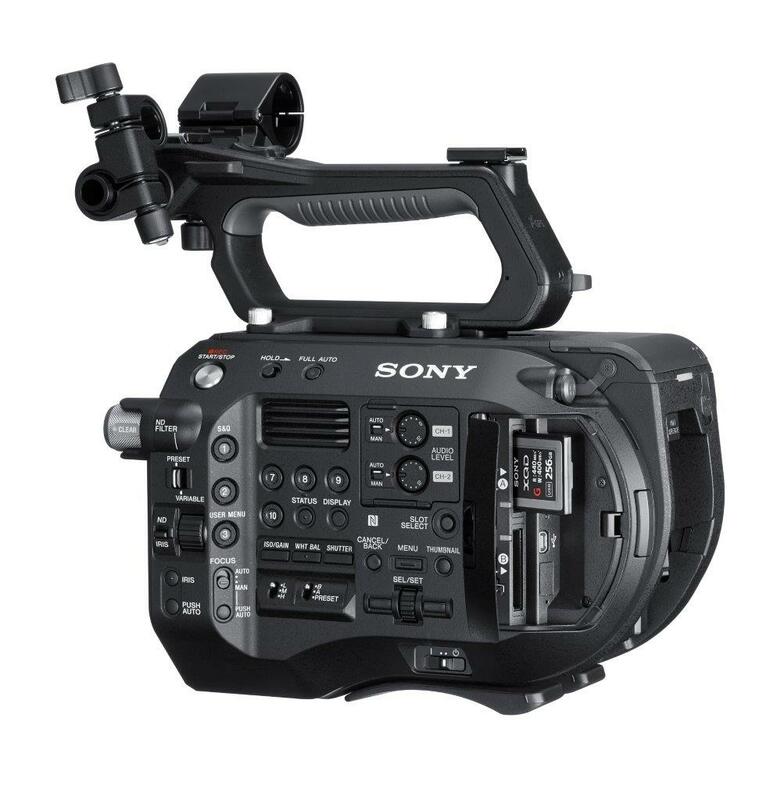 The new FS7 II camcorder also supports Sony’s α Mount System, which includes more than 70 lenses. Since its introduction in 2014, the FS7 has become one of the most widely used cameras in a range of production applications, and the original FS7 model remains in the Sony line-up. The new FS7 II now gives creative professionals a broader range of creative tools, with new features all based on end user feedback. The new FS7 II camcorder is designed for long-form shooting and production applications, especially documentaries and independent filmmaking. Sony is also introducing an FS7 II kit model which includes a new E-mount, Super 35mm lens, model SELP18110G, covering Super35mm and APSC sensors. The camcorder’s Electronic Variable ND Filter system, combined with its large sensor, delivers greater exposure control, with the option of preset or variable operation modes. Variable ND mode (seamless ND attenuation within the camera’s 2~7 stop range) allows the user to vary the density of the ND filter during shooting and to transition seamlessly between steps. The camera’s expanded ND operations also enables fine exposure adjustment by relegating iris to set depth of field, prevents soft focus caused by diffraction, and prevents color shift caused by stacking multiple external ND filters. Preset mode lets users assign three ND settings to the filter turret, useful in selecting the most appropriate filtration range for changing light conditions. Auto ND mode is also available allowing exposure to stay at a fixed level while adjusting the depth of field with iris control. The FS7 II’s new E-mount (lever lock type) gives users the ability to change lenses by rotating the locking collar rather than the lens itself, which means that in most cases lens support rigs don’t need to be removed, saves time during a production. Like its counterparts in the FS Series family – the FS7 and FS5 models – the new FS7 II features several design and ergonomic updates for comfortable and functional use in the field. The FS7 II’s “tool-less” mechanical design lets users make on-the-fly changes to the camera’s set-up and operation. For example, no tools are required to adjust the Smart Grip or viewfinder positions. The viewfinder eyepiece provides a third stabilizing contact point when shooting handheld. Durable square section rods and lever-clamps on the LCD and camera body provide simple and precise front-to-back VF adjustment while retaining level positioning. Sony is also introducing an FS7 II kit model including a new E-mount, Super 35mm lens. The new lens, model SELP18110G, covers Super35mm and APSC sensors. Compact and lightweight — 2.4 lbs (1.1Kg) — with an 18 to 110 focal range (6x zoom) it uses a new fully mechanical/servo zoom switchable system, capable of snap zooms and entirely devoid of lag. The focal range is optimized for Super 35 and APS-C sensors. The lens is compatible with Sony α Mount System cameras, including the α7 series interchangeable-lens cameras and professional Super 35mm 4K camcorders like Sony’s FS7 or FS5. Although perfectly suited for still image taking, filmmakers will fully appreciate the lens’ extended creative capabilities for shooting motion images. Ramping: F stop gradually diminishes when zooming tight. Not holding focus while zooming. Breathing (angle of view variation while focusing). Optical axis shift (image moves in the frame while zooming). The FS7 II supports the XQD memory card format, designed for capturing and transferring high-bandwidth, high resolution files. Sony is also introducing a new XQD card, QD-G256E — with an industry first 256 GB capacity – which enables a recording time of approximately 45 minutes at 4K 60P and 3.5 hours at 2K 30P. Combined with a read speed of up to 440MB/s and write speed of up to 400MB/s, users can shoot for longer without needing to change media cards. The FS7 II is planned to be available in January 2017 for an estimated street price of $10,000 (body only) and $13,000 for the camcorder with 18-110mm power zoom lens kit. For more information, please visit www.sony.com/fs7ii.